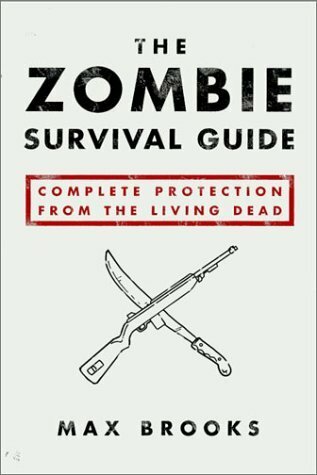 Max Brooks' The Zombie Survival Guide is the book I've been waiting for all my adult life. Explaining the zombie phenomenon from start to finish, Brooks explains where zombies come from, how to tell the difference between the genuinely undead and the voodoo'ed unfortunates who were the first to bear the name, and, most importantly, how to deal with four different levels of zombie attack (everything from one or two wandering zombies to a complete infestation). So, I now know that my preferred weapons would be a hunting rifle and a machete, that I should get a bicycle, spend all my spare money on a safe compound in the tundra somewhere, that I should keep an axe under my bed and use it chop up the stairs if I ever hear zombies at the front door. Be warned! Don't be tempted to set your stairs on fire, even though it's a quicker way to get rid of the stairs, but there's a big risk of you burning down your house. I should point out that halfway through reading this book I became convinced that there were zombies on Laytown beach and they were going to shamble towards me in the dark at six am. I am not looking forward to the dogwalking next week. This book has not made me any less scared of zombies, is what I'm telling you. So if you see a large red-haired woman lurching out of the darkness towards you with an axe, well, just don't make any moaning noises or I'll have your head off in moments. I'm glad you warned about not burning down my house. Lesley hates it when I douse everything in petrol. Sometimes when you're having a hard week at work you want to read something easy that doesn't make you feel as though your brain has dribbled out your ear. 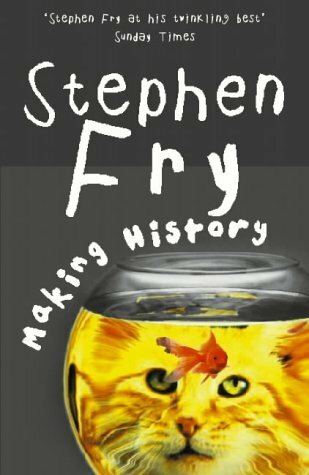 Stephen Fry's Making History is such a book. There is much about it that is not good. If you do not think of Stephen Fry as a national treasure who should have his own plinth at the V&A, then you probably would find the authorial voice in this novel a little oppressive. If you know a lot already about the early years of the Hitler family and Adolf's part in World War One you will probably find much of the actual narrative a little dull. The characters are quite lame. The plot is ludicrous. Okay, okay, it's just not a good book. But readable, you know?